Summer is finally here and so is also the time for an ice-cream, sunbathing and bikinis. 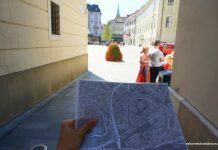 Slovakia does not have a sea but it has many cool spots for swimming, bathing and getting refreshed in this scorching heat! 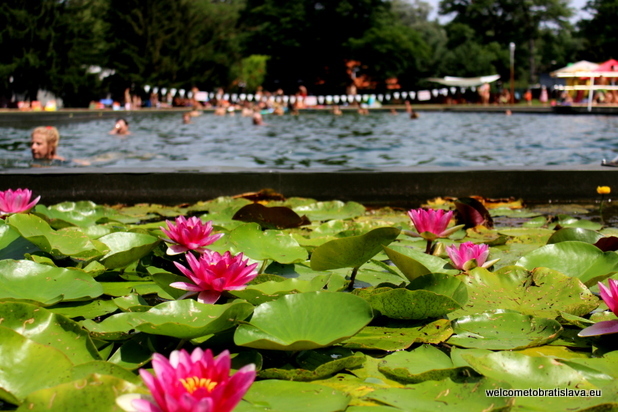 Here are several tips for natural lakes or swimming pools in and around Bratislava. There are three lakes a few kilometres away from the Bratislava centre, in a part called Dunajská Lužná. The lakes are called Košariská. You can get there within 25 minutes by bus or train either from the main train station or the main bus station. The final stop is called: Dunajská Lužná, Nové Košariská. Get ready for quite a walk through the village to the lakes though. Two lakes (Veľké Košariská/Nové Košariská 1 and Nové Košariská/bágrovisko) have a public beach with a good view, but are a bit less comfortable with gravel surface. The first one has clear water and offers services as well, the latter one is a dredging spoil with a slightly muddy water and no services nearby. The third and the smallest one is Malé Košariská/Nové Košariská 2, part of which is also public with services. Or, you can pay a fee to enter the private Tiki Beach/Wellness Beach right next to the amazing Mango restaurant – which are opposite to the public beach. 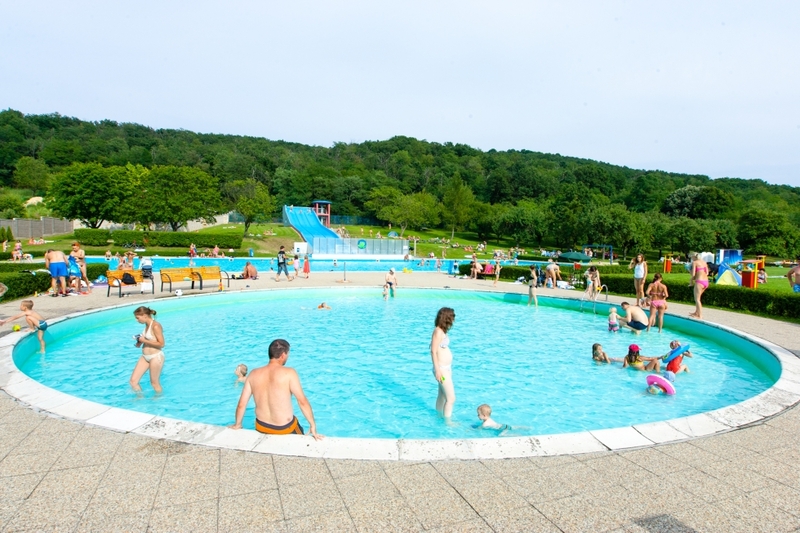 Translated as Golden Sands, Zlaté piesky is a popular area for both sports and recreation with a huge water surface and a beach with many summer facilities. 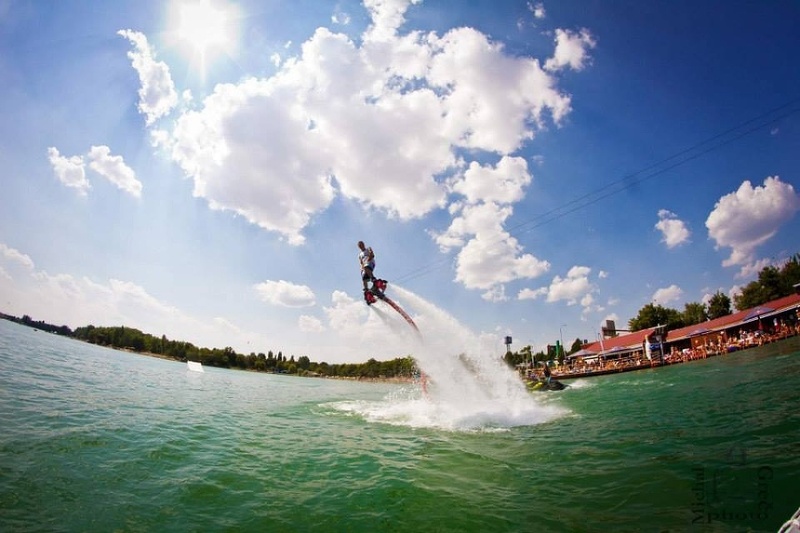 There is a boat rental, a water slide, tow for water skiing, tennis courts, a beach volleyball filed, a football court, a children playground, table tennis, autocamping, cabins or hotel accommodation and buffets. During the summer season, the rescue service remains vigilant. 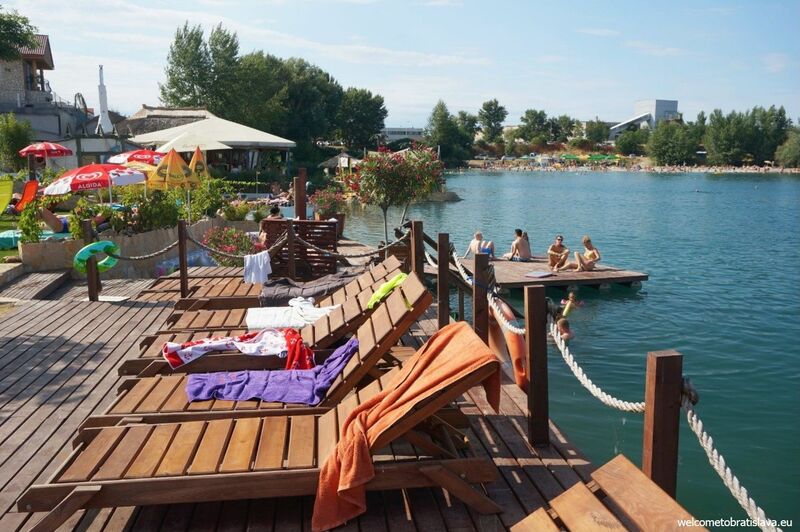 Our most favorite part of Zlate Piesky is Wakelake with separate access to the beach, ideal for those who want to watch beautiful people and be seen – you’re more likely to find sunbathing women in tiny bikinis rather than families sharing a picnic. And once the sun sets, Wakelake starts its second life – a party life with popular DJs! 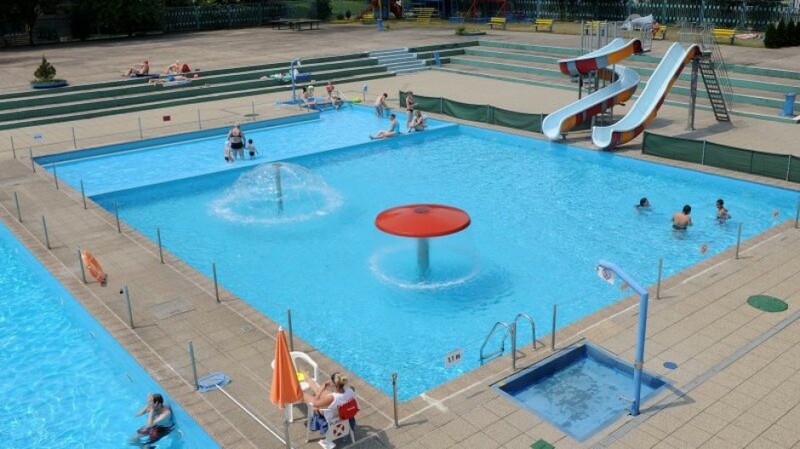 Veľký Draždiak, situated in Bratislava municipality Petržalka, is a gravel lido with water area of 13 hectars. Bathing is at own risk, without supervision. There are a couple of buffets around the lake and you can also rent water bicycles there. 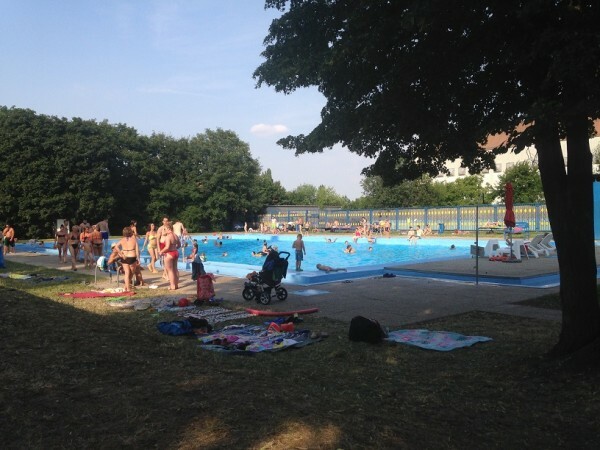 There are two swimming pools available – a big one and a small one for kids. 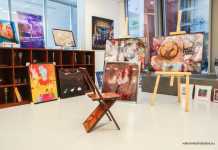 You can use the changing facilities, there is a kids playground and a buffet. 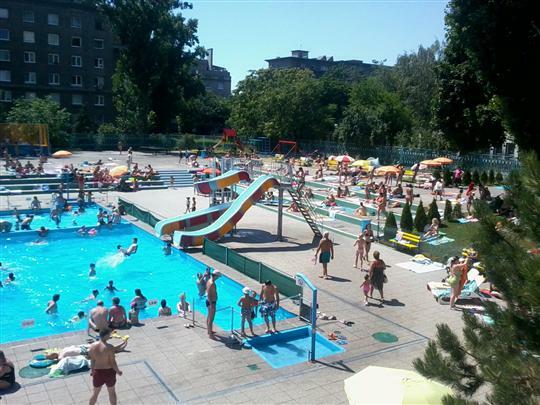 This summer swimming pool is situated right in the centre of Bratislava municipality Ruzinov. You can find three swimming pools here, showers, changing rooms, saunas, a children playground and buffets. The highlight is a new water slide – kamikaze. 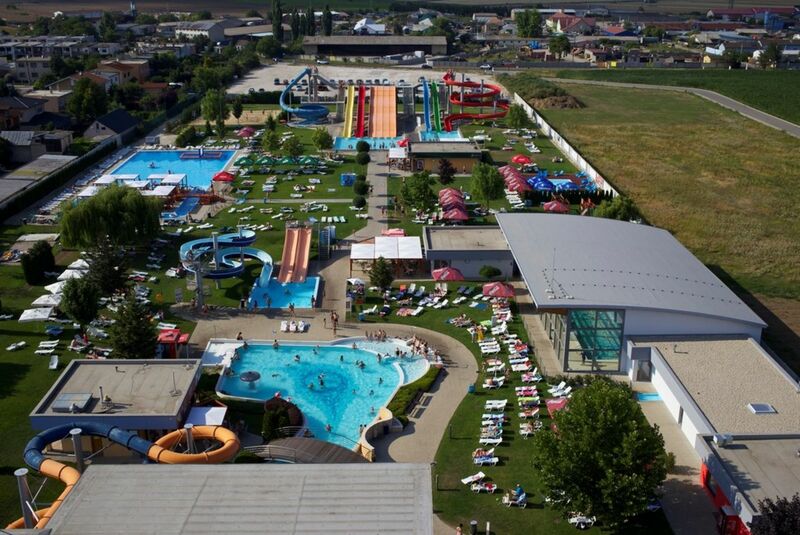 There are three swimming pools – one for swimmers, one of a recreational character and one for kids. The complex can accommodate 1000 visitors and includes a court for beach volleyball and a children playground. 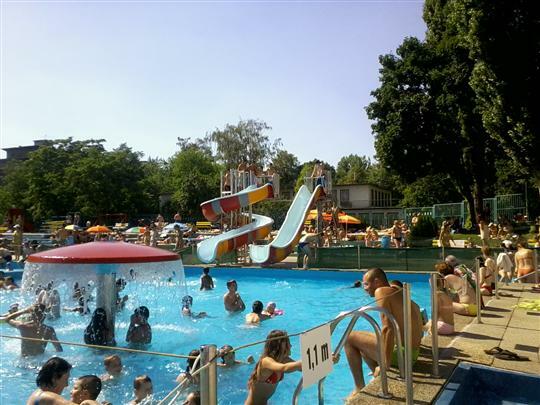 A favourite swimming area in Petrzalka offers several swimming pools, including one 50-meter swimming pool for swimmers with heated water of 24 degrees, a 25-meter one for non-swimmers with a water slide and one for smaller kids with heated water. 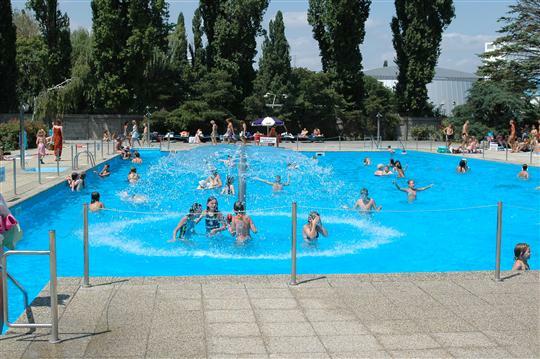 As one of few Bratislava’s swimming areas, it offers a package of services that includes free parking, a Wi-fi connection, deck chairs around the swimming pool and a free access to the water slide. 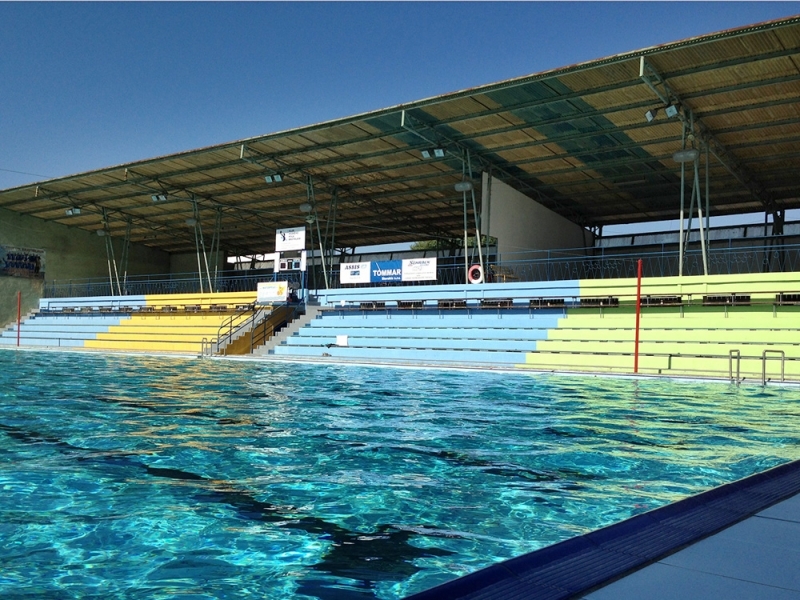 There are three swimming pools available – a big, a middle-sized and one for kids. You can enjoy a three-lane water slide, 50 metres long. There are also changing rooms, a children playground, a buffet and beach volleyball courts. 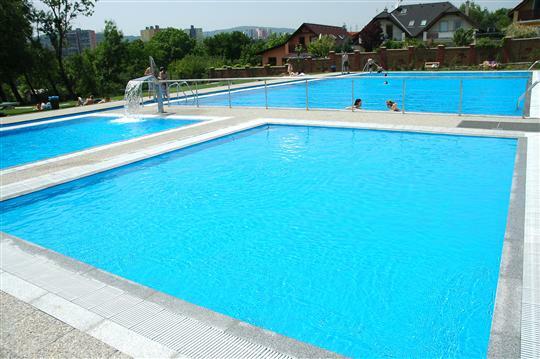 This traditional swimming area offers three swimming pools for both swimmers and non-swimmers. There is an elevator for disabled visitors for easier access to the pool. 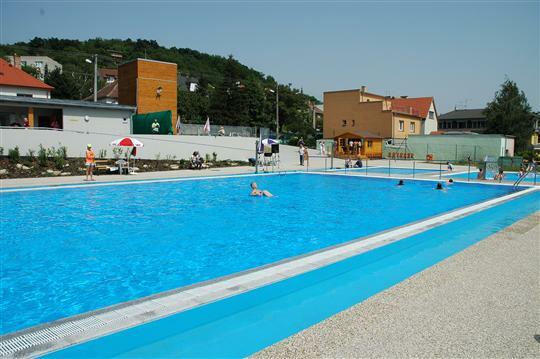 This summer swimming area in Bratislava municipality Rača has a 50-metre swimming pool for swimmers. There is also a buffet. 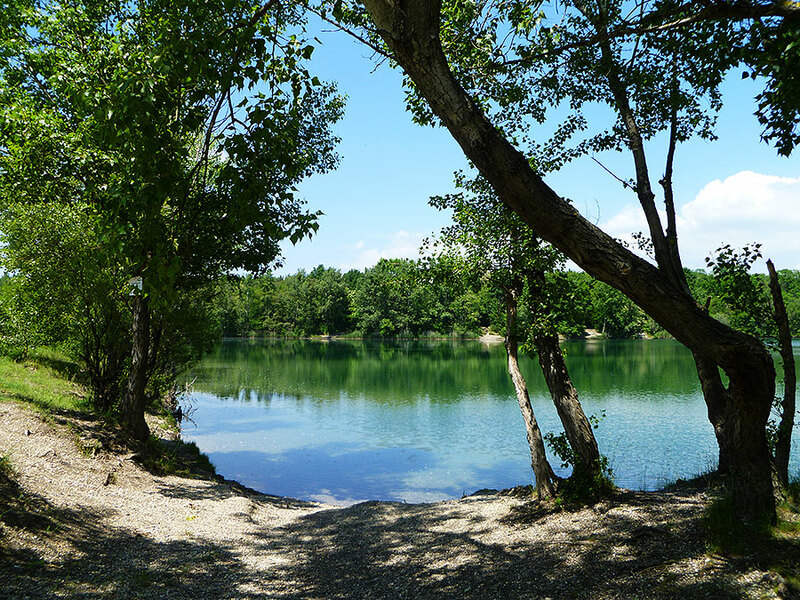 Čunovo lakes are situated in a protected area of Dunajské luhy, between villages Rusovce and Čunovo, located approximately 16 km from Bratislava. You can get here by a car (going to Rusovce), by public transport (bus 91 – stop Čunovské jazerá) or by bike from the Petrzalka dam. 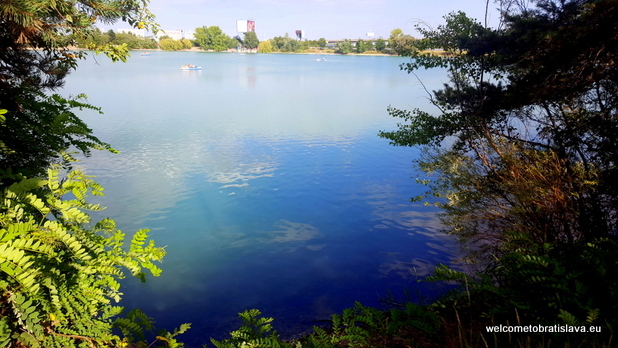 There are two lakes – a big lake called Veľké Čunovo and a small one called Malé Čunovo – but be careful – it is only allowed to swim in the smaller lake. The bigger one is a protected area. The water in these lakes is crystal clear, so if you are the type of a person who is afraid to swim in the natural lakes because of not seeing the bottom, this is exactly the right spot for you. You will see the gravel bottom clearly and the water is not too deep (3-4 meters at the deepest spots). The best part is that you won’t be disturbed by the traffic since all the cars have to be left at the driveway with boom gates preventing them from entering. The lakes are surrounded by tall trees of riparian woodland creating a unique natural character of the lakes. There is a small and a big lake in Vajnory, which are connected by a channel. Both lakes were created in the past thanks to gravel mining. 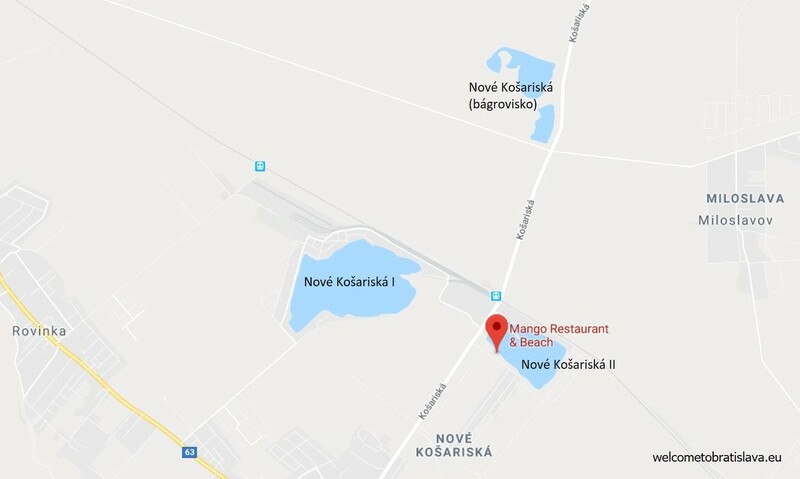 They are located near the Golden Sands Lake on the north side of the D1 motorway from Trnava to Bratislava. The area is mostly used for fishing and skating in winter. Swimming is possible at your own risk. Free entrance! Swim under the pine trees in the natural water with no chemicals, enjoy green grass areas or explore beautiful water lilies. 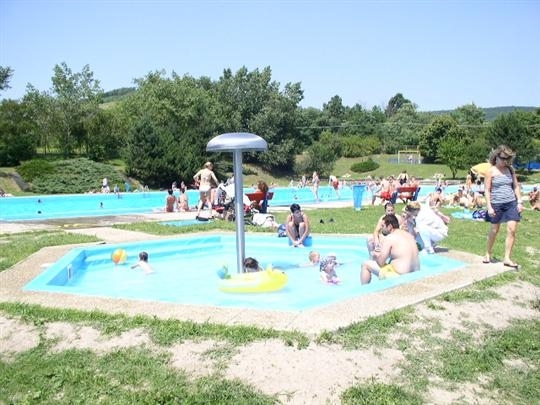 Natural swimming pool Borovica lies approximately 20 minutes from Bratislava, near Lozorno. There are no chemicals used to keep the water clean and yet, the water is clean and fresh. 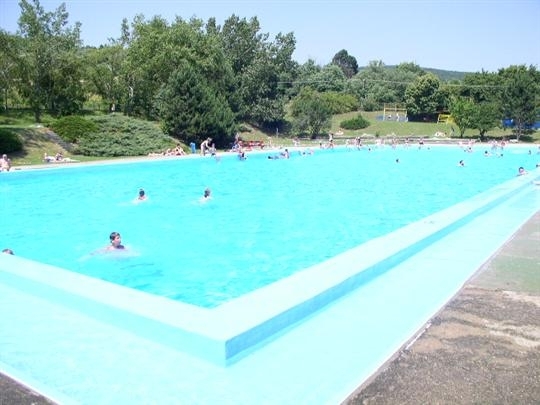 It is thanks to the water plants in the filtration areas connected to the swimming pool that clean the water naturally. In this way, the natural swimming pool respects nature as well as your health. And it is super kids-friendly, too! 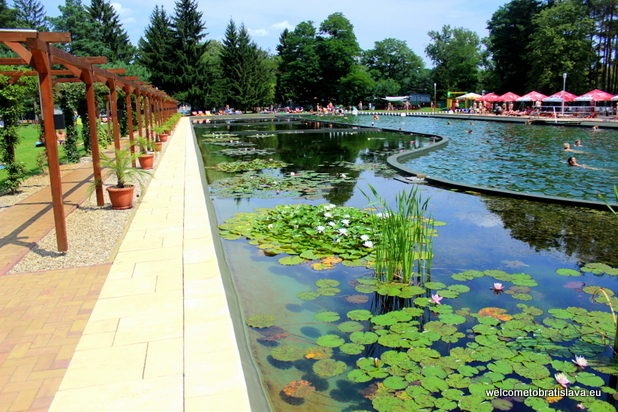 Slnečné jazerá, translated as Sunny lakes are a popular summer spot situated around 30 minutes by car from Bratislava. Within the campus, you have children playgrounds, beach volleyball courts, tennis courts, sport equipment rentals (for water bikes and boats), water slides, a football pitch with artificial surface or water football. 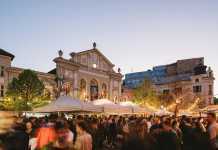 In summer, there are parties and different events organised regularly. Dogs are allowed to be within the campus, however cannot go to the beach and into water (at the northern and southern part there is a special beach allowing dogs). 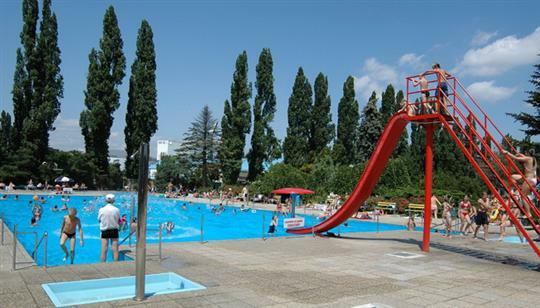 Situated around 30 minutes by car from Bratislava, this Aquapark is open all year long with 13 swimming pools during the summer and 6 swimming pools during the rest of the year, with water of 28 – 38 degrees. 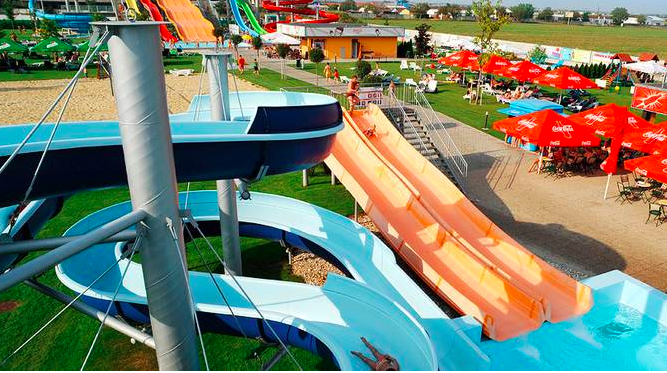 Get ready for different water attractions such as water slides, water jets, counter-flows, water umbrella and more. Pitches for beach volleyball and minifootball, a sport bar, a cocktail bar, a food court, a children’s corner and a children playground are available within the complex as well. Canoe, catamaran, sail boat rentals?